As well as everyone else selling their wares, San Diego Comic-Con will be selling their own merchandise, from the Comic-Con Merch Store in the Pacific Ballroom in the neighbouring Marriott Marquis Hotel. And that begins with the work of Joëlle Jones. 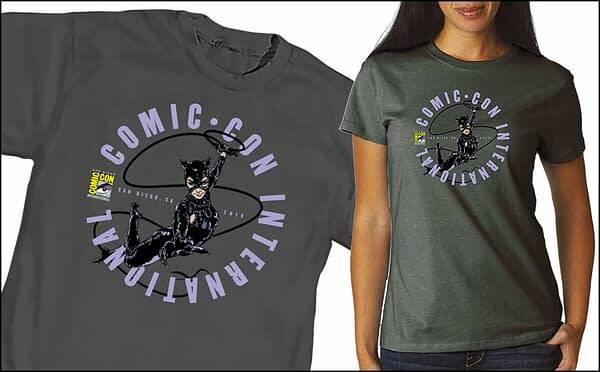 The Cat is back with a new DC Comics series by writer/artist Joëlle Jones, who illustrated this T-shirt you’ll find only at Comic-Con 2018! Colored by Laura Allred. Features Joëlle’s art on a Smoke Grey shirt. 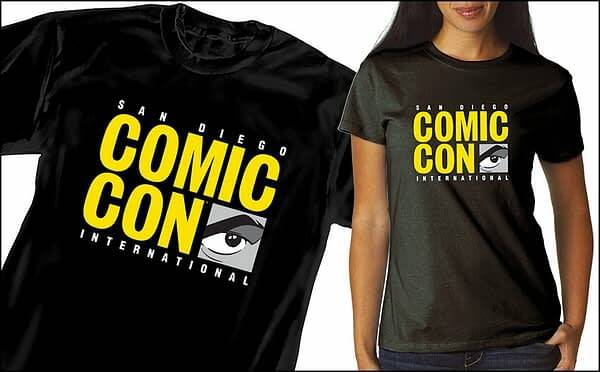 We’ve brought back our classic “split logo” shirt, which shows the Comic-Con logo on a black tee, with the emphasis on the type. 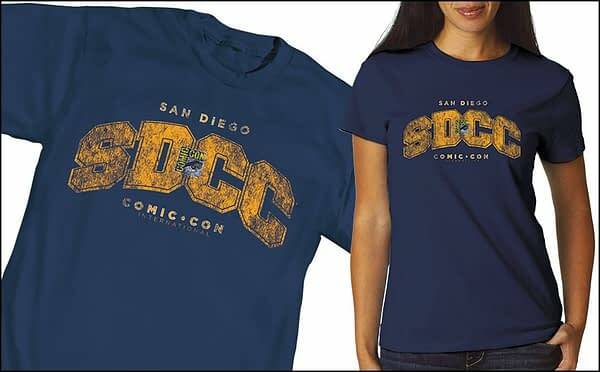 One of our most popular logo shirts of the past few years, now with a brand new color scheme: Gold distressed type on a navy blue shirt. 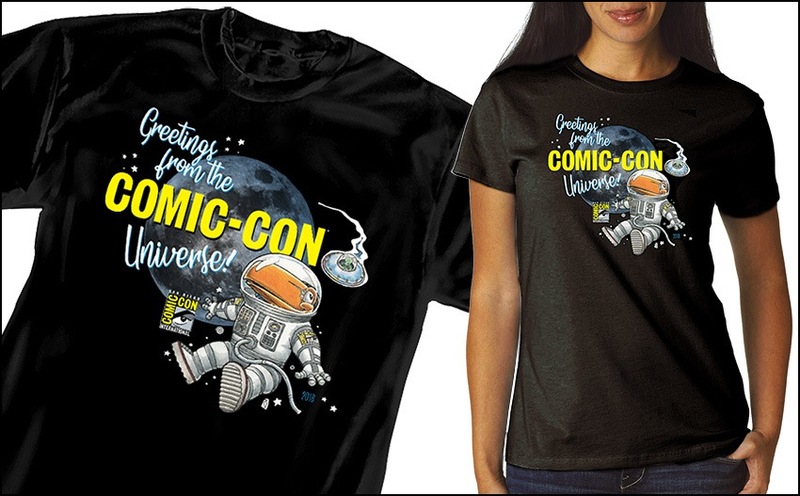 Prove you’re an alumnus of the college of comic book knowledge with this classy addition to your T-wardrobe! 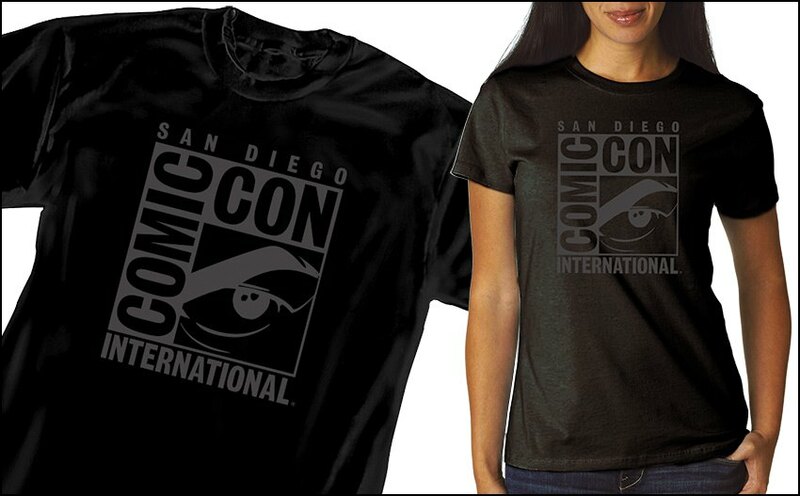 Something completely different … the traditional Comic-Con logo printed in dark grey on a black T-shirt! This classy variation is perfect for those more formal occasions! 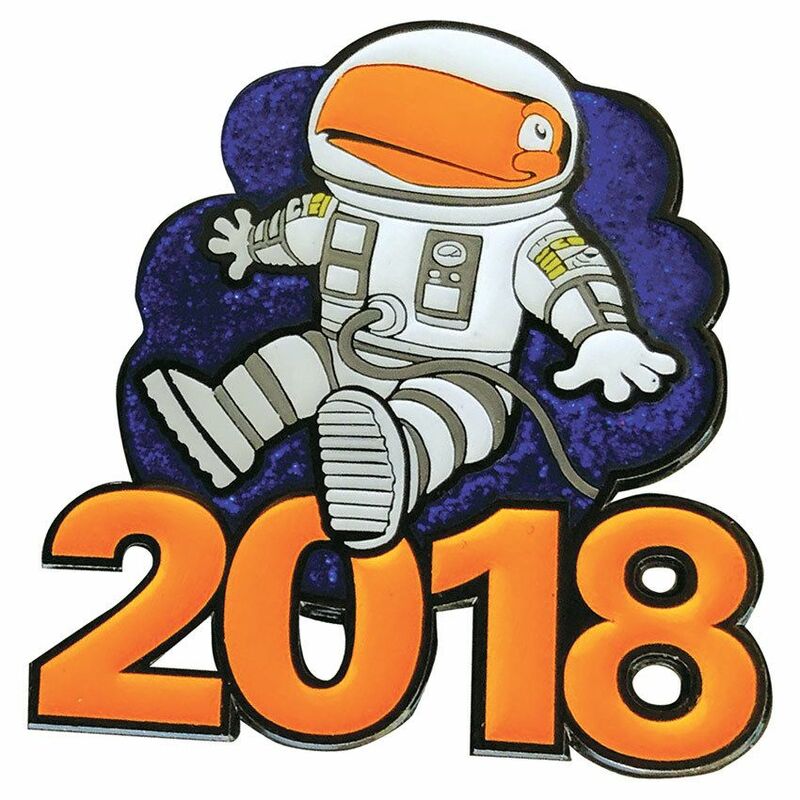 We’ve launched the Toucan into Outer Space in this brand-new T-shirt featuring art by Rick Geary on a black shirt. 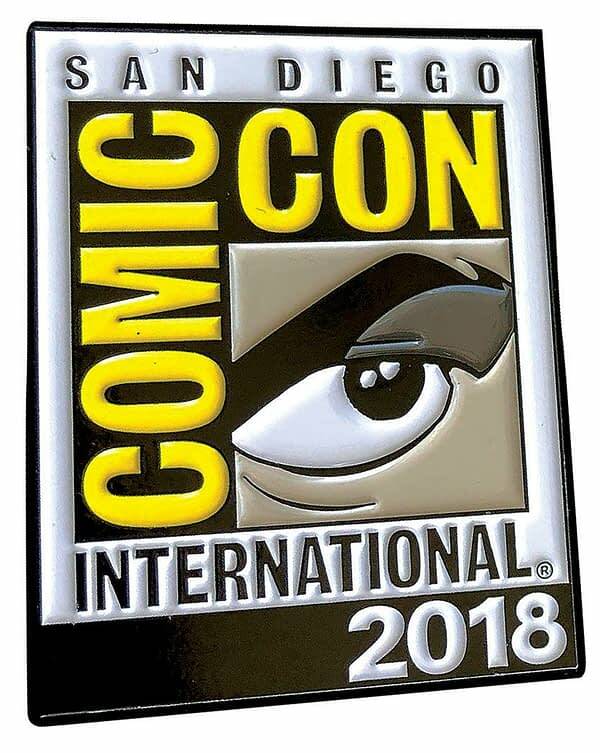 Greetings from the Comic-Con Universe! 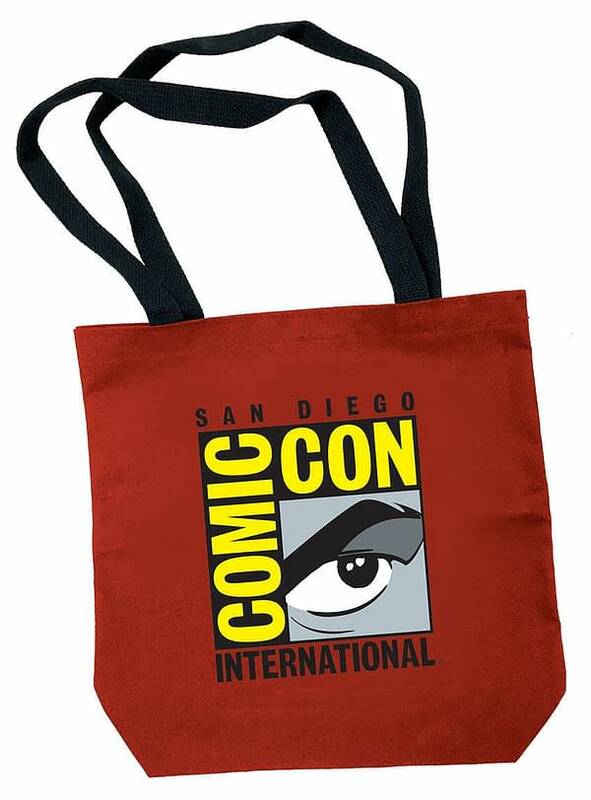 This year’s book bag has the classic Comic-Con logo emblazoned on one side on a red bag. It has large black straps for easy use as a shoulder tote. The bag measures 13” wide x 14” tall with a 3” gusseted bottom and 25” black cotton web handle straps. 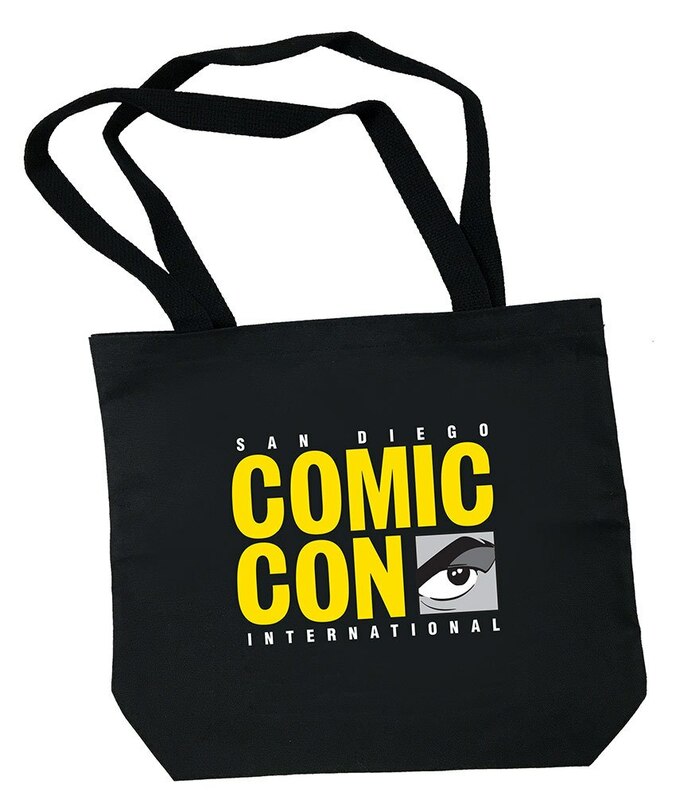 We’ve taken the “split logo” and put it on this year’s larger tote bag in basic black. It has large straps for easy use as a shoulder tote. The bag measures 18” wide x 13” tall with a 6” gusseted bottom and 25” black cotton web handle straps. 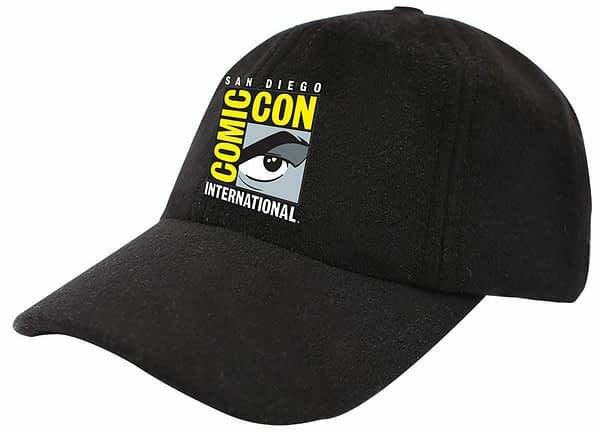 Our caps this year feature the classic Comic-Con logo! 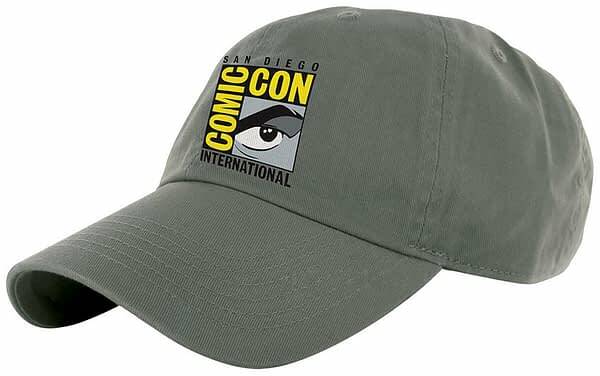 Offered in two colors (black and charcoal grey), the embroidered logo is featured on a 100% cotton twill, unstructured, low-profile cap with adjustable slide closure with brass buckle and grommet. We’ve reinvented the Tiki Mug with these special editions designed by longtime Comic-Con artist Rick Geary. One design features our pal, the Toucan; the other features one of Rick’s familiar subjects, the Victorian Murderer (just don’t call him Jack!) from his series of graphic novels, “A Treasury of Victorian Murder.” This set is the first in a series of SDCC Tiki Mugs that will be designed by noted comics artists each year! Both mugs measure 7.5 inches tall and hold 20 fluid ounces (yep … you can drink out of them!) The Tiki Mugs are manufactured exclusively for Comic-Con by Tiki Farm. 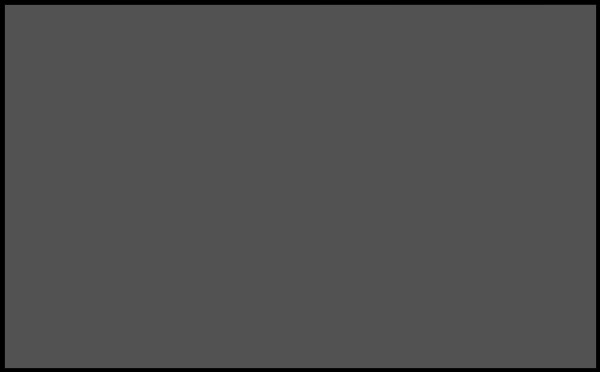 Both mugs are high-temperature stoneware-fired, extremely durable and are dishwasher and microwave safe! 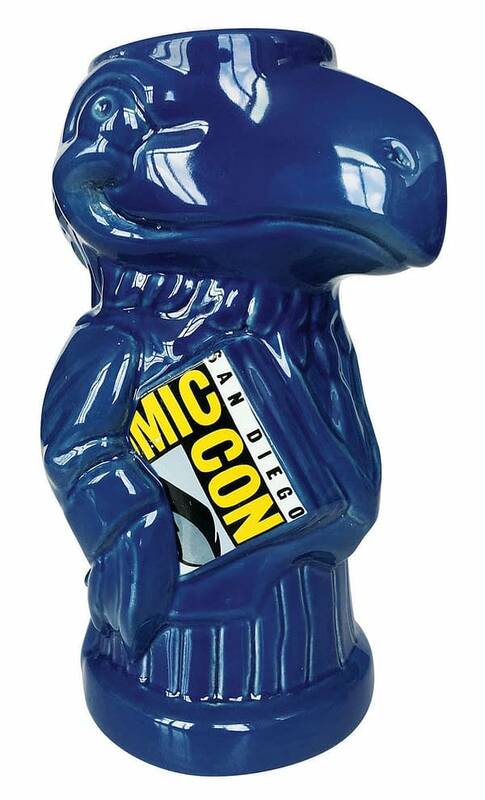 The Toucan Tiki Mug is glazed in a dusty royal blue gloss glaze, with the Comic-Con logo being a fully-fired permanent decal. 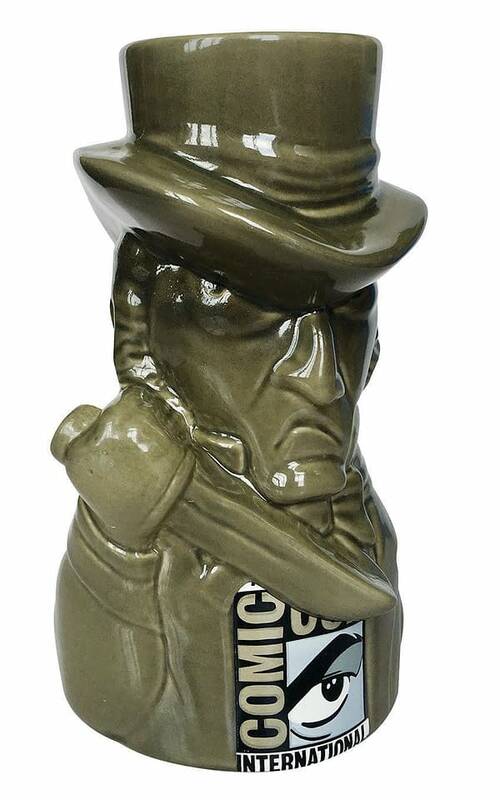 The Victorian Murderer Tiki Mug comes in a gunmetal gray gloss glaze, with the Comic-Con logo being a fully-fired permanent decal. Remember that spiffy enamel pin you got with your badge in this year’s badge box? Well, there’s actually TWO of them, and you can pre-order the one you didn’t get to complete the set … or buy one for a friend! There’s the 2018 Comic-Con logo pin and the 2018 Spaceman Toucan pin … get them both for $10.78 each!